A selection of sweet and heart warming works with a festive feel. A beautiful and heart-warming festive work with sleigh bells and a piano top line. Upbeat festive jingle with that lovely sense of excitement that comes with a Christmas morning! A cheeky little digital pop track with a filthy secret bassline. A lovely mild festive track to set the scene a special afternoon with the family. A laidback little guitar shuffle with a big-hearted Ukulele riff. Glockenspiel lead ditty full of winter festive magic. Builds throughout. Slick lifestyle track that mixes electronic sounds with a rustic piano top line. Sumptuous winter-tastic work with a mild jazz feel! 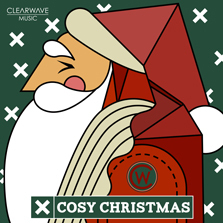 A sweet festive track with a funky breakbeat and cool synths. An arrangement of the classic work with modern production. An arrangement of the classic carol with a hip hop/electro breakbeat and fuzzy synth bassline. A magical and emotive festive scene that give way to a solid electronic drum break. A church bell arrangement of the festive classic. An extremely positive and happy Christmas scene setter! Fun and foppish Christmas wiggle with loads of festive sounds. Impossibly cheery rendition of the festive staple. We got Whistling! We got Ukes! We even got sleigh bells! Merry Christmas Guys!! Silly but lovely Christmas waddle.